We took two, amazing linen bags, nice color and texture. I have one of these for my ANZAC & UK impression. 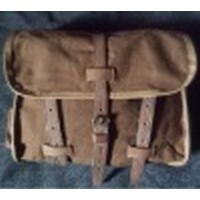 Great bag, perfect size for all your gear OR you can even pack a tent into it. 20 bucks today is a steal.